Deborah Pritchard, composer/double bass and David Neita, Poet. 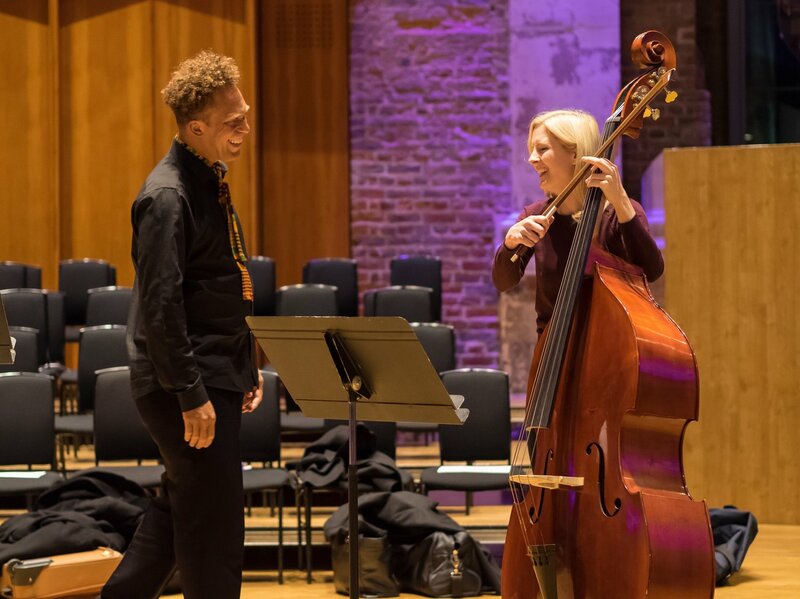 London-based Jamaican poet and human rights lawyer David Neita and award winning British composer Deborah Pritchard unite as a duo of spoken word and double bass. Previous collaborations include working with the London Symphony Orchestra, the BBC Singers and Oxford University as Deborah creates a musical landscape to David’s poetry. Their performance explores the river that runs inside us all, the community and Mother Earth through contemporary classical and jazz sounds.